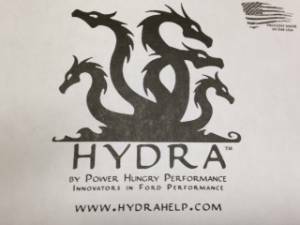 Redesigned from the ground up, the Hydra Chip provides Ford owners with a feature packed, high quality, low cost alternative to many of the existing modules on the market today. Hydra Chip package includes the tunes, chip, digital switch, ribbon cable, and USB cable! -Program calibrations in ANY POSITION(s) — or leave ANY positions blank! The USB extension cable allows you to mount a USB port on your dash so that you can reprogram your truck without removing the chip from you PCM. You'll just need a laptop with internet connection and plug into the USB port. -1994 to 1997 and early 1999 Power Stroke and International trucks are fitted with smaller volume injectors than the late 1999 and up Super Duty trucks, and as such are limited to increases of about 65 HP for the 1994 to 1997 and 100 HP for the early 1999. Some trucks, depending on tolerances, may be able to utilize up to 80 HP and 120 HP respectively, but we cannot guarantee that the power gains will be achieved. Trucks with modified injectors and HPOPs are not subject to these restrictions. 1994-1997 TRUCKS WILL HAVE FEWER CALIBRATION SELECTIONS DUE TO THE POWER LIMITATIONS OF THE FACTORY STOCK INJECTORS. ADDITIONALLY, TRUCKS WITH MANUAL TRANSMISSIONS WILL HAVE FEWER CALIBRATION SELECTIONS DUE TO THE PROGRAMMING CHANGES THAT ARE MADE TO SHIFTING BETWEEN TOW AND POWER CALIBRATIONS. ALL 7.3L POWER STROKE DIESELS WILL HAVE A MINIMUM OF 15 CALIBRATIONS AVAILABLE. DUE TO THE LIMITATIONS OF INTERNATIONAL VEHICLES, ONLY 7-10 CALIBRATIONS WILL BE AVAILABLE. 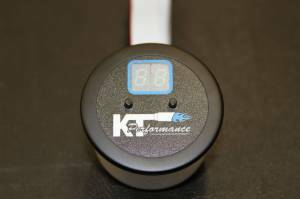 •We will also include the KT Performance face plate for the selector switch if you decide to go with the standard switch. So you will have the option to have the Hydra Logo or KT Performance logo on your selector switch. •You have the option to upgrade to the gauge pod selector switch from Diamond T Enterprises. The gauge pod switch lets you mount the control switch into any standard 2-1/16" gauge pod (ie: pillar, dash top, over windshield, below dash... pods). Upgrading to the Diamond T Selector Switch will allow you to mount the switch into any standard 2-1/16" gauge pod. USB Extension Cable and Bracket with mounting kit. -Connect the Hydra Chip to the USB port of the computer that will be used to update. 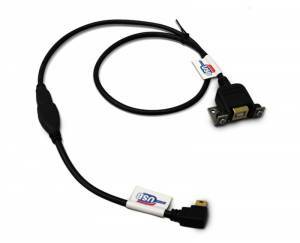 -If the Hydra Chip is installed in the vehicle, make sure the key is in the OFF position. -Select the [Hydra Chip] menu option. -Select the [Update Device Firmware…] menu option. -Click the [Update] button to update the firmware. -Once the firmware is updated, disconnect the USB cable (when prompted) for 5 seconds, then reconnect. At this point, your update will be complete. If you have any problems with the update, please contact KT Performance or Power Hungry Performance and we will be glad to assist you in resolving any issues. Power Hungry HydraChip - WoW! Came in a nice plastic case, easy to install although no instructions came with it. Watched the youtube videos and helped the install but paper instructions would be nice. Fyi cable was bad, after i changed it out, everything works great. Loading the tunes is a breeze, does everything it says it can. I havn't driven very far with it but it is much smoother shifting, better response, and power with lower egt's then my other chip (edge). Only down fall is the large ribbon cable that goes to the small display is limited where you can mount it and bad usb cable. Also you must be connected to the internet when programing. Other than that, this chip is awesome! No need to send your 6 position chip off to get new tunes you can have all of them on one chip! KT and Kenny are awesome people to work with. Called him with questions and he answered them even on the weekend! A++ customer service and great prices! I've had this chip for a while now and absolutely love it. Installation is simple enough, once I got it all figured out its amazing. Driven over 500 miles one way with this noticing a little better fuel mileage but a definite increase in HP. If you were planning on getting a 6-Pos chip this is much more bang for your buck. 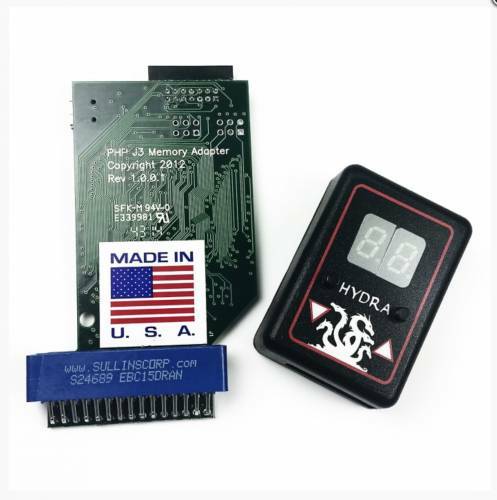 PHP Hydra Chip "Bill You Are The Man"!!! Just got this installed yesterday along with the Edge Insight CTS for gauges. All I can say is WOW!! I absolutely love this new Hydra/CTS set up. After running an Edge Juice/Attitude for the last 9 years on my 2001 F-350 4x4 DRW CC I feel like this product has brought my truck back to life. Easy to install and super easy to download the tunes via the computer/internet. I have more tunes/options to pick from then I'll use for my hex code. All I can say is buy it you won't be disappointed! I just installed this yesterday after Kenny recommended it to me. At first I thought it only had the same options as my Edge chip but then he helped me find the 2nd computer hex code and the fun began. Great product! Very easy to install and use! KT and Kenny are great to do business with and I'm sure I'll be back. Asked Kenny about 6 position chip and he recommended this chip as an option for just $75 more. I have to say thanks for the recommendation! It is an awesome chip! Pulled the pcm and cleaned the connector a day in advance. I used battery terminal cleaner, my fingernail, and small piece of scotch brite to clean the silver connectors. Chip came in, unpackaged it, zip tied the usb cord and slid it in the pcm opening. Brought the laptop out to the truck, used the hex code converter in the software and uploaded 13 programs in under 5 minutes! Be careful because if you put it on 120hp you will be thrown back in your seat! Did take a few days to get here. Had a magnetic clip, magnetic biz card, biz card, t-shirt, and a awesome looking sticker (which is on the truck now!) that came in the box. Thanks Kenny for the chip! Originally had an Edge programmer in my truck that was in it when I bought it. I liked the power the Edge gave but did nothing for the transmission. I done a little research and started reading some forums about chips. 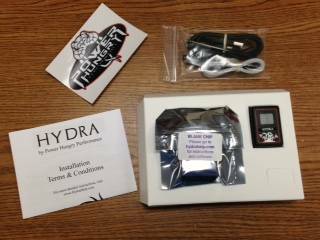 I kept seeing the PHP Hydra Chip mentioned, so I decided to bite the bullet and purchase it. That was the best decision I made. The chip was easy to install and easier to program. I upgraded to the Diamond T selector and it made for a flawless look in the truck. The shift patterns on the truck now are firm but do not slam into gear. I will definitely recommend this chip for anyone that is looking for one on a 7.3L. As for KT Performance, they were awesome do deal with. Will be purchasing from them again in the near future! Hydra Chip for the Win!! Installed my hydra chip and man did it wake up the truck. Even with 250K it feels like a new truck. No more defueling with boost codes. Definitely recommend to anyone even thinking about it.